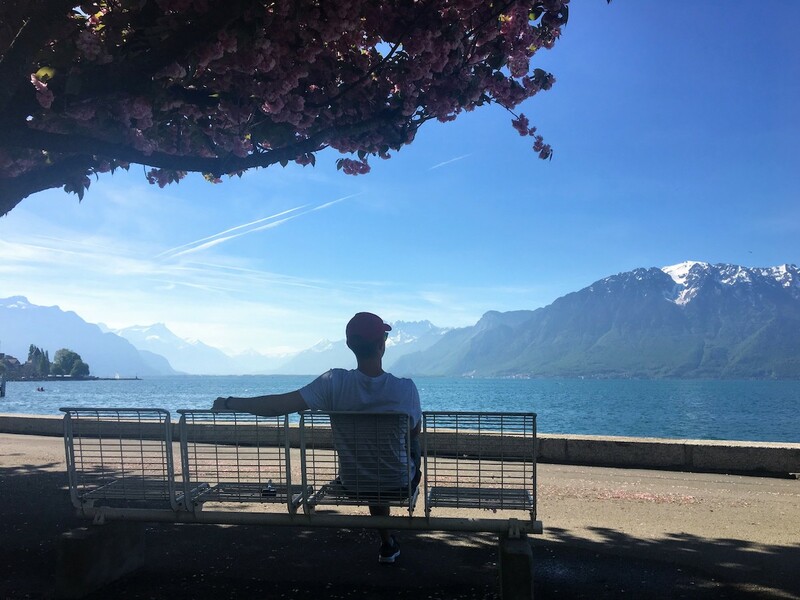 I had a short trip to Switzerland in April 2018. 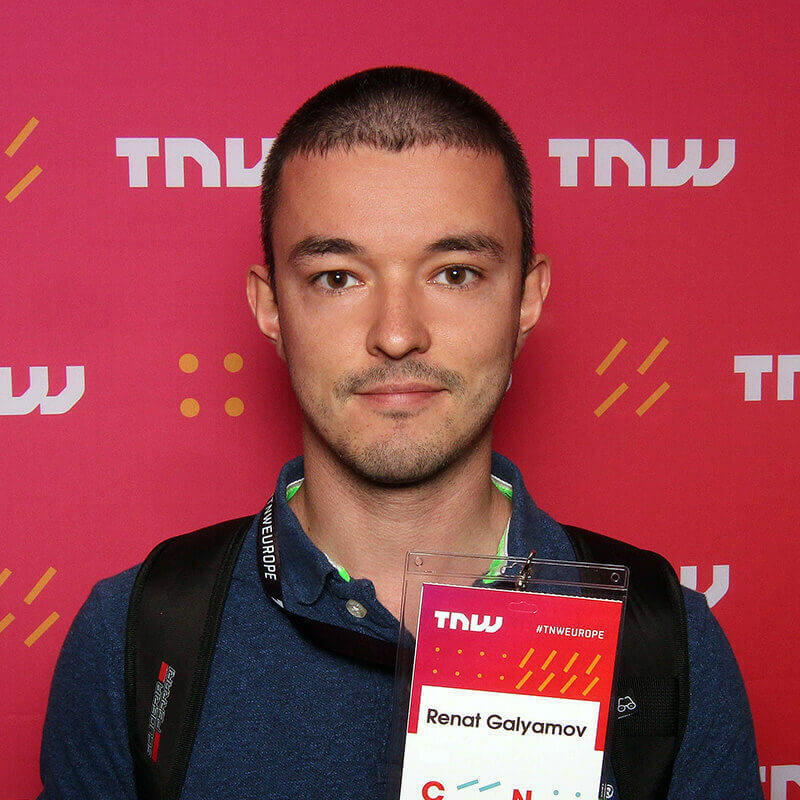 Here are some of the photos that you may enjoy. 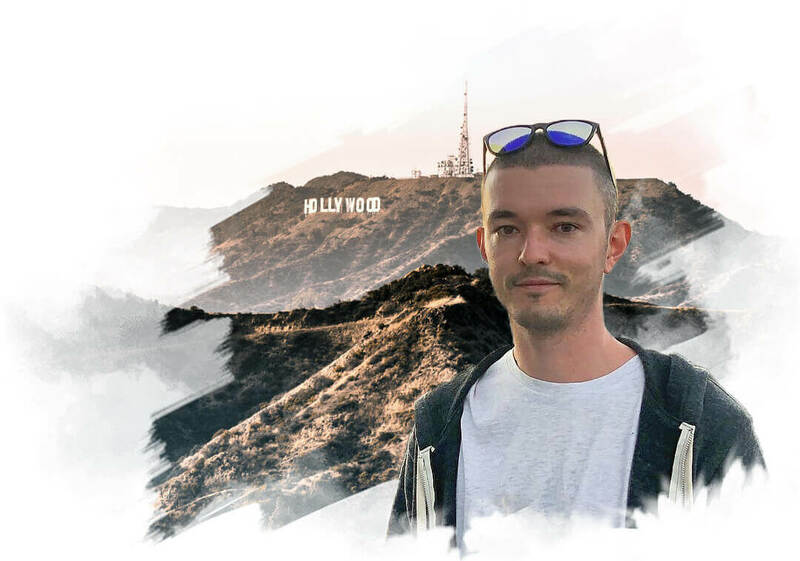 Feel free to ask me anything in the comments section below. Lake Geneva. 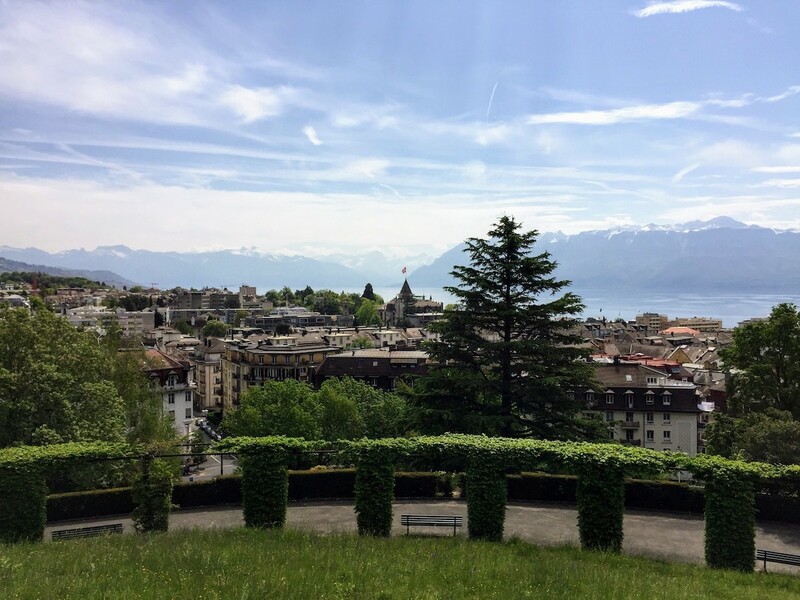 In a small town called Vevey. France is right across the lake. 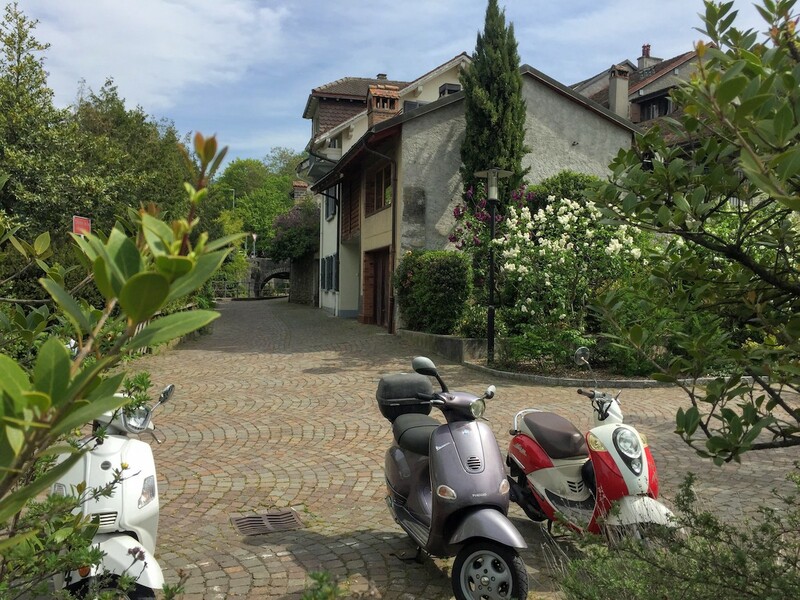 Swiss Vineyards are gorgeous. 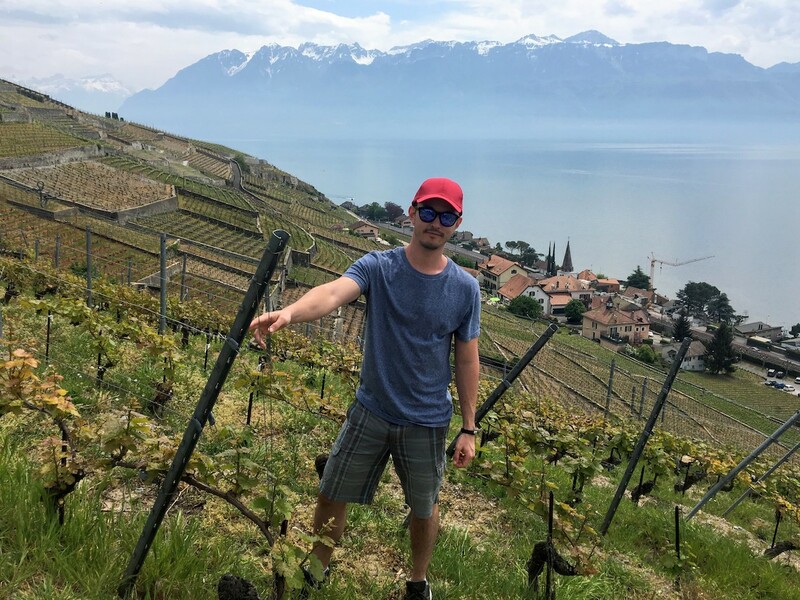 I’m standing in the middle of Lavaux Vineyard Terraces. 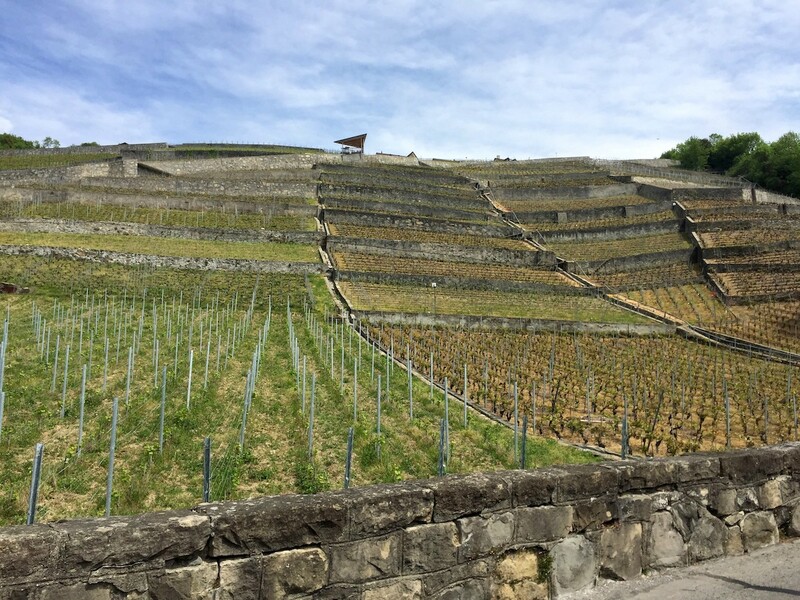 Lavaux is the largest vineyard region in Switzerland, and its terraces have been protected by UNESCO. 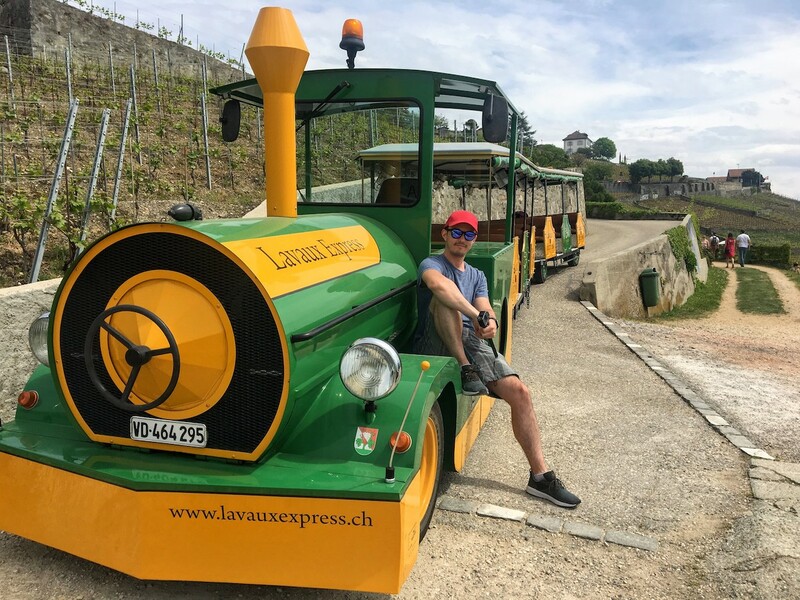 You can have an hour-long trip on the Lavaux Express, a small train that takes tourists around Lavaux Vineyard Terraces. Halfway through it makes a stop for wine tasting and taking scenic photos. 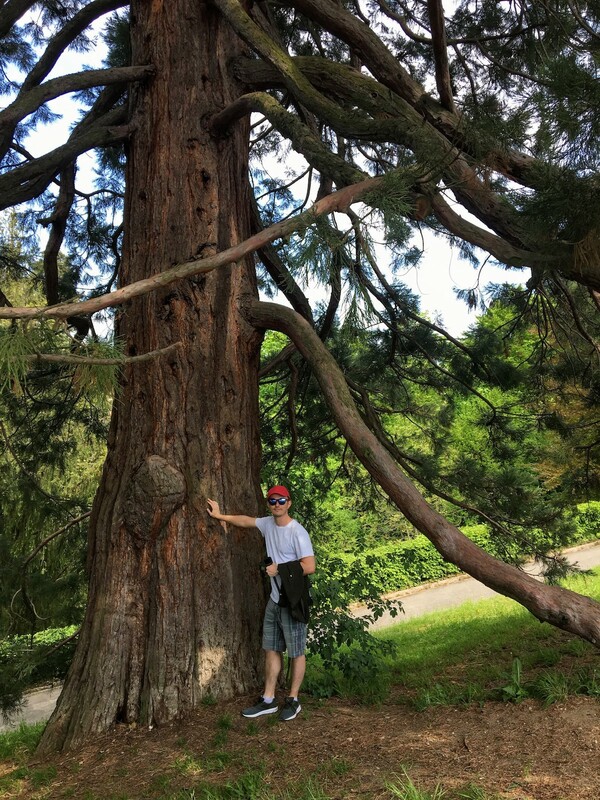 I came across Giant American Sequoias in Lausanne Parc de Milan and Quai d’Ouchy. 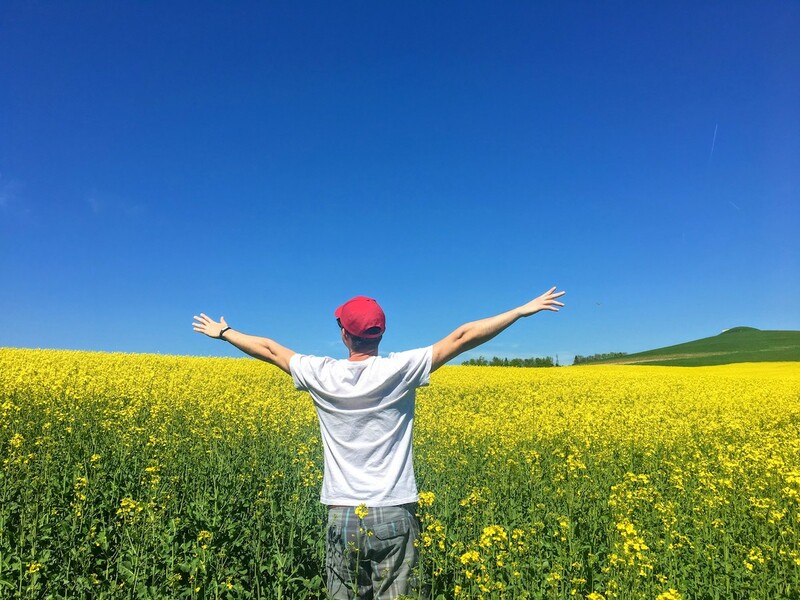 Rapeseed fields in Switzerland are magnificent. 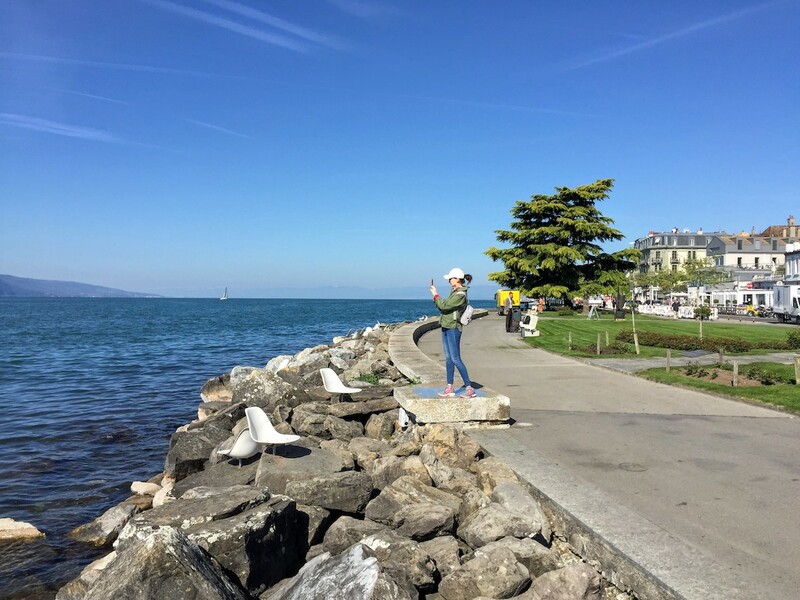 My beautiful wife taking pictures of the Lake Geneva. 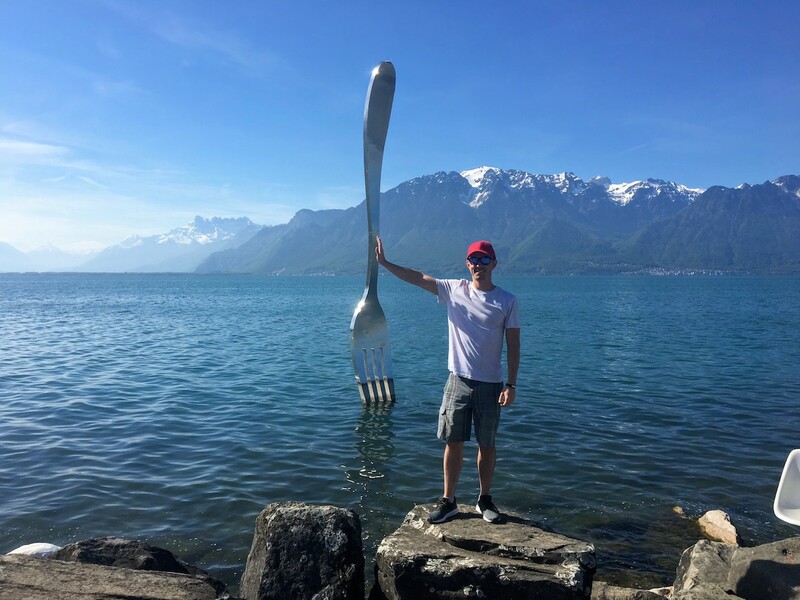 The Great Big Fork of Vevey. It’s an 8-meter high stainless steel statue of a fork. 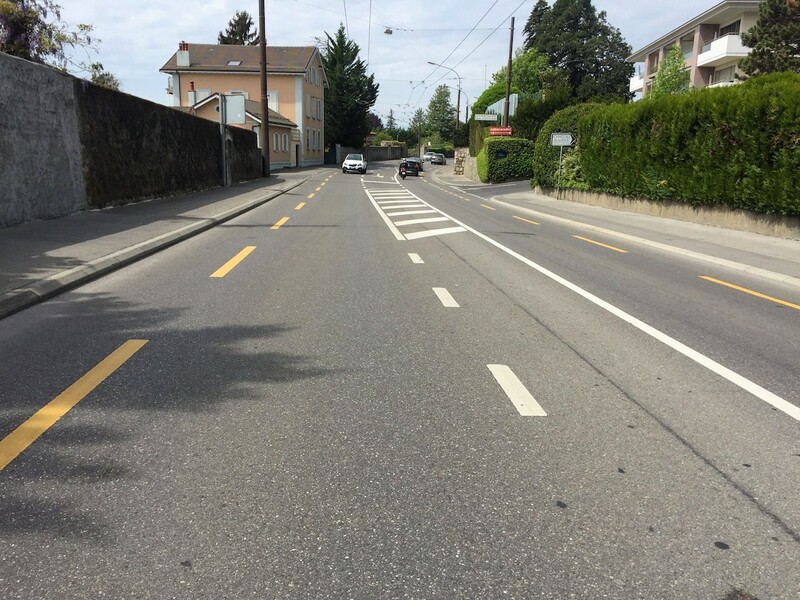 Swiss roads are made for sports cars. 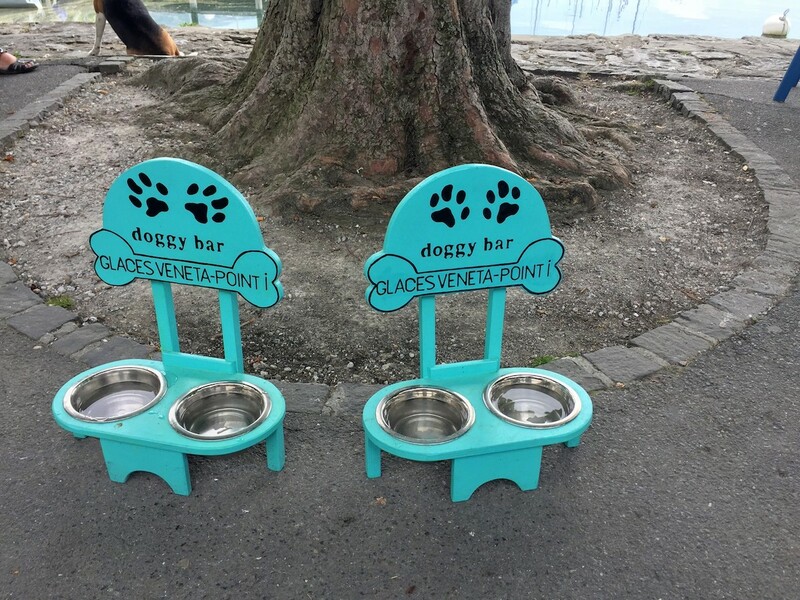 Take your dog to the “Doggy bar”. 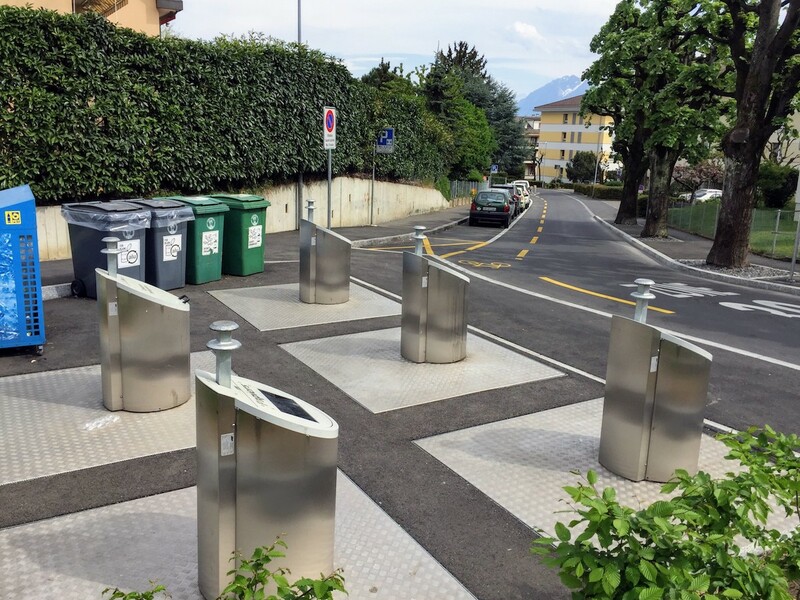 Swiss are good at waste management. They recycle all sorts of trash and keep recycling bins clean and environment-friendly. 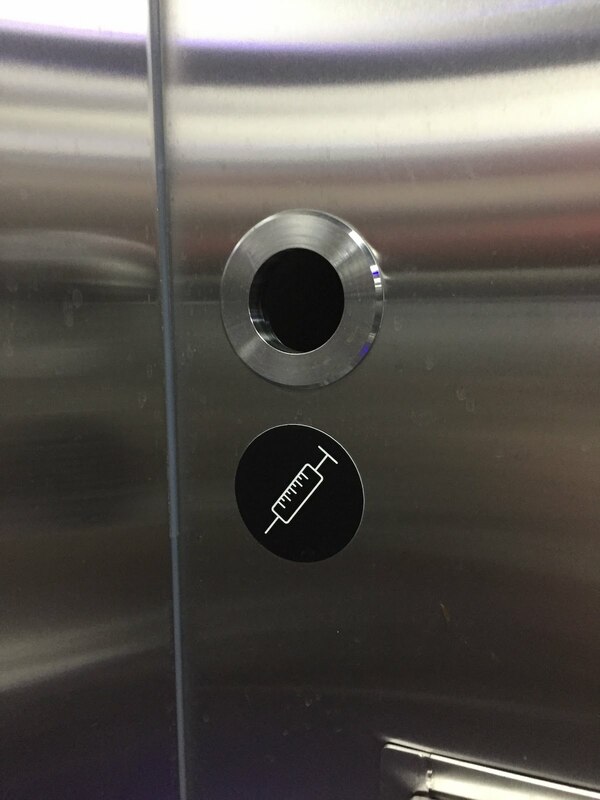 Found this hole for used syringes in a public toilet. Is it for drug addicts? Any ideas? View from the Parc de Milan, a good place for a short break. 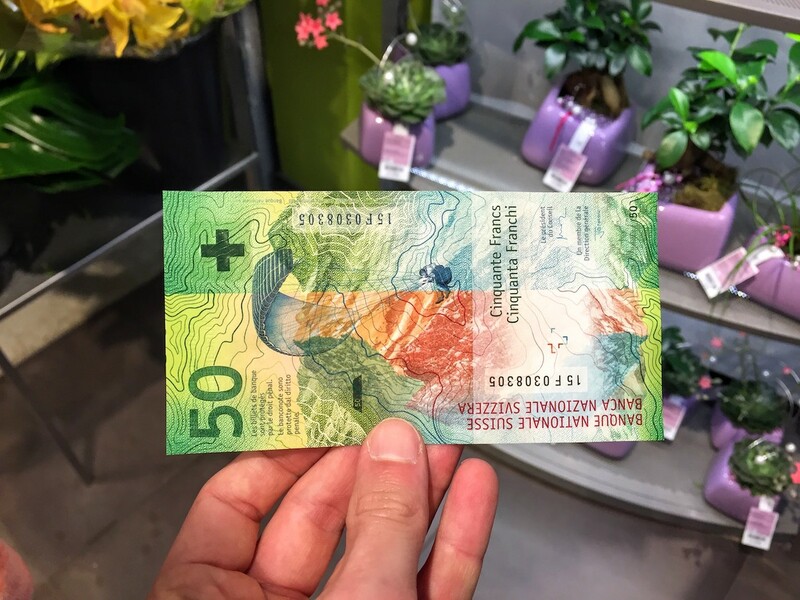 Swiss plastic banknotes are voted as one of the most beautiful. 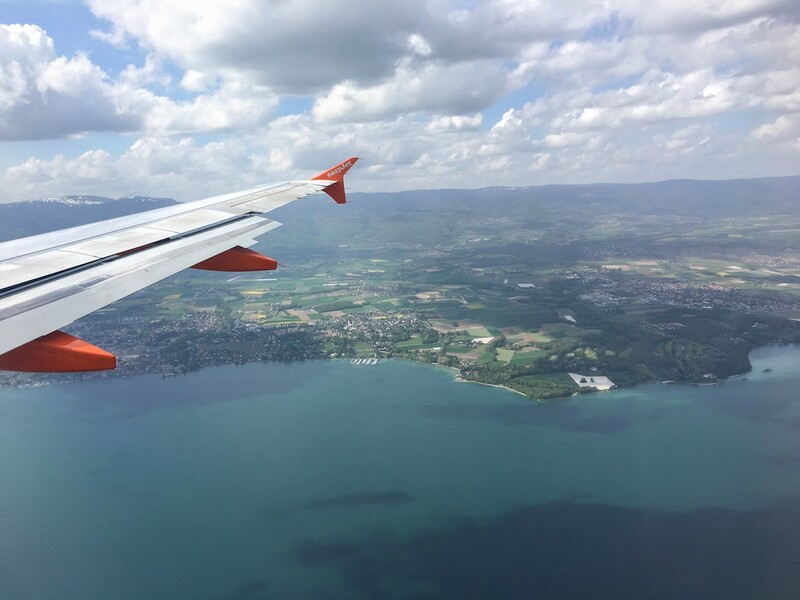 Flying over the Lake Geneva. About to land Geneva Airport. 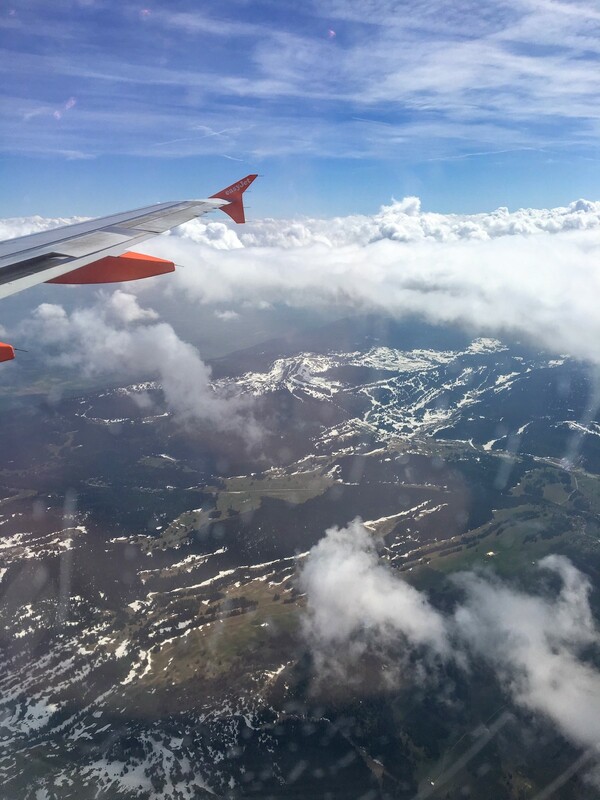 Flying over the Jura mountains.